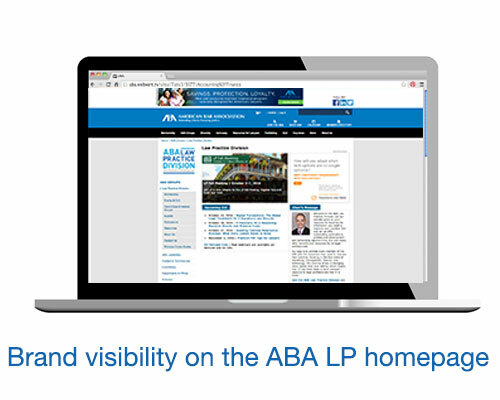 The ABA Law Practice Division's Premium Solution Provider Packages are designed to bring top legal vendors a unique way to engage with members of Law Practice Division. Premium Solution Provider Packages provide an incredible amount of value by combining print, digital, online, email, social media, and public relations marketing. Packages will drive your company’s message to over 18,000 Law Practice Division members, and to the LTRC which is dedicated to helping ABA members leverage technology to make their practices and organizations more successful. "The Premium Solution Provider Program with the Law Practice Division of ABA provides us with an incredibly high return for our involvement. This partnership aligns us with a top brand and helps us reach qualified law firm decision makers. I highly recommend the program to any company that provides a product or service to law firms." your company's strategic content, and marketing needs.